Desloratadine is extensively metabolized to 3-hydroxy-desloratadine, also an active metabolite, which is subsequently glucuronidated (Table 23.3). The cytochrome enzymes responsible for the formation of 3-hydroxy-desloratadine have not been reported. Coadministration of desloratadine with CYP3A4 inhibitors results in marginal increases in plasma concentrations of desloratadine and 3-hydroxydesloratadine, but no significant changes in safety or efficacy.48 The mean elimination half-life of deslorata-dine is about 6 hours, and the drug and its metabolites are eliminated in the urine and feces (Table 23.3). Cetirizine produces qualitatively different effects on psychomotor and psychophysical functions from the firstgeneration antihistamines.10,50 The drug has been associated with dose-related somnolence, however, so patients should be advised that cetirizine may interfere with the performance of certain jobs or activities. Other effects of this drug include fatigue, dry mouth, pharyngitis, and dizziness. Because the drug is extensively eliminated by a renal route, its adverse reactions may be more pronounced in individuals suffering from renal insufficiency. No cardiotoxic effects, such as QT prolongation, are observed with the new drug when used at its recommended or higher doses or when coadministered with imidazole antifungals and macrolide antibiotics.10 Other typical drug interactions of ^-antihistamines, however, apply to cetirizine and concurrent use of this drug with alcohol and other CNS depressants should be avoided. Cetirizine is indicated for the temporary relief of runny nose, sneezing, itching of the nose or throat, and/or itchy, watery eyes caused by hay fever or other upper respiratory allergies. It also relieves itching caused by hives (urticaria), but it will not prevent hives or an allergic skin reaction from occurring. Dose-proportional Cmax values are achieved within 1 hour of oral administration of cetirizine. Food slows the rate of cetirizine absorption but does not affect the overall extent. Consistent with the polar nature of this carboxylic acid drug, less than 10% of peak plasma levels have been measured in the brain. Cetirizine is not extensively metabolized, and more than 60% of a 10-mg oral dose is excreted in the urine (>60% as unchanged drug) and 10% is recovered in the feces (Table 23.3). The drug is highly protein bound (93%) and has a terminal half-life of 8.3 hours. The clearance of cetirizine is reduced in elderly subjects and in renally and hepatically impaired patients. Levocetirizine Dihydrochloride. Levocetirizine dihy-drochloride, (R)-[2-[4-[(4-chlorophenyl) phenylmethyl]-1-piperazinyl] ethoxy] acetic acid dihydrochloride, (Xyzal) is a white, crystalline powder and is water soluble. This R-enantiomer is has a 30-fold higher affinity than the S-enan-tiomer, and dissociates more slowly from H1-receptors.51 Pharmacologically, it displays the same receptor and CNS selecitivity profile as the racemate, cetirizine (Table 23.2), and thus the same therapeutic advantages. Levocetirizine is indicated for the relief of symptoms associated with allergic rhinitis (seasonal and perennial) in adults and children 6 years of age and older and for the treatment of the uncomplicated skin manifestations of chronic idiopathic urticaria in adults and children 6 years of age and older. Its pharmacokinetics and clearance profile are essentially the same as the racemate, cetirizine (Table 23.3). Acrivastine. Acrivastine, (E, e)-3-[6-[1-(4-methylphenyl)-3-(1-pyrrolidinyl)- 1-propenyl-2-pyridinyl]-2-propenoic acid (Semprex), is a fixed-combination product of the antihistamine acrivastine (8 mg) with the decongestant pseudoephedrine (60 mg). 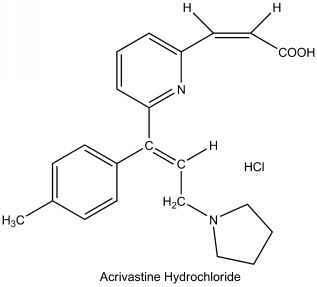 Acrivastine is an odorless, white to pale cream crystalline powder that is soluble in chloroform and alcohol and slightly soluble in water. Acrivastine is an analog of triprolidine containing a carboxyethenyl moiety at the 6-position of the pyridyl ring. Acrivastine shows antihistaminic potency and duration of action comparable to those of triprolidine (Table 23.2). Unlike triprolidine, acrivastine does not display significant anticholinergic activity at therapeutic concentrations. 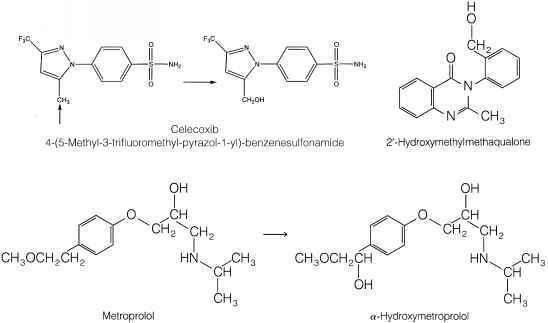 Also, the enhanced polarity of this compound resulting from carboxyethenyl substitution limits BBB accumulation, and thus, this compound produces less sedation than triprolidine. 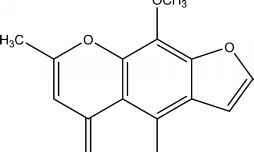 Limited pharmacokinetic data are available for this compound. 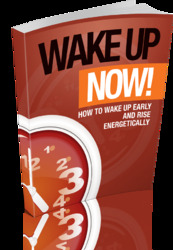 Orally administered drug has a half-life of about 1.7 hours and a total body clearance of 4.4 mL/min per kilogram. The mean peak plasma concentrations are reported to vary widely, and the drug appears to penetrate the CNS poorly. The metabolic fate of acrivastine has not been reported. The discovery of the bronchodilating activity of the natural product khellin, obtained from the plant Ammi visnaga, led to the development of the bis(chromones) as compounds that stabilize mast cells and inhibit the release of histamine and other mediators of inflammation.52 The first therapeutically significant member of this class was cromolyn sodium. Further research targeting more effective agents resulted in the introduction of nedocromil, followed more recently by pemirolast and lodoxantide. Generally, the mast cell stabilizers inhibit activation of, and mediator release from, various inflammatory cell types associated with allergy and asthma, including eosinophils, neutrophils, macrophages; mast cells, monocytes, and platelets. In addition to histamine, these drugs inhibit the release of leukotrienes (C4, D4, E4) and prostaglandins.53,54 In vitro studies suggest that these drugs stimulate the protein kinase C-mediated phosphorylation of moesin. This phosphorylated protein then binds with key proteins on the secretory granule (such as actin) and stabilizes them to prevent exocytosis. Other studies suggest that the bischromones indirectly inhibit calcium ion entry into the mast cell and that this action prevents mediator release.